I guess thats a bit of a cop out, as of course we will be learning about OT on an OT course... But this week we were learning about defining OT as a grounding for our learning. We also spent some time learning about the history of both occupational therapy and occupational science and how they fit together and enhance practice. I won't mention the frightening lecture on masters level writing!!!! This is a short update this week as I have a mountain of reading to get done. 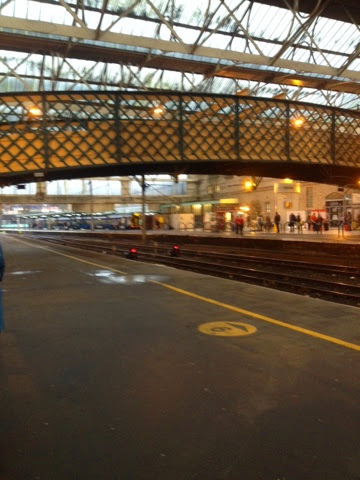 Until next time from a very wet and rainy Carlisle Train station! !